Improving the appearance of one’s home is one of the aspirations of many homeowners who do not have plans of relocating or transferring to a new house in the future. There are individuals who prefer to improve the interior appearance of their homes first, but there are also others who prioritize to beautify the outside portion by adding a garden with a pond or by installing Richmond retaining walls to create a dramatic effect to the overall appearance of the property. 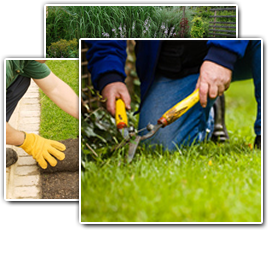 There are different materials that can be used in building retaining walls of your Richmond property which will depend on your location, purpose, budget and the overall effect that you want to achieve. You can construct this wall by yourself if the wall is below 1 meter but if it is higher than that, you need the assistance of a professional since there are some components and procedures that need to be followed. If you will hire a contractor, choose someone who is an expert in constructing this type of wall. Let also your imagination guide you in choosing the material as well as the design of the wall. Retaining walls are usually constructed with the use of prefabricated concrete blocks that you can purchase online or in a hardware store near you. Wood and stone blocks can also be used in building this type of walls. All of these materials have an advantage and disadvantages though there are many who prefer to use concrete blocks since it is more affordable than timber or wood. Concrete blocks is also preferred than natural stone blocks since it can be easily shaped and formed according to your specification. These concrete blocks are available in different shapes, textures, and colors too. The size of the blocks that you will use will also depend on how high the walls will be constructed. If you built shorter walls, you have to use smaller blocks and bigger blocks for walls that is higher than three feet. Use this type of material if you want decorative retaining walls rather than a functional one. These concrete blocks are designed to interlock with each other to make it sturdy and it is usually hollow so that cement can be poured into it. You also need to buy the concrete block cap with the same design as the blocks that you are using which will serve as a protection from the water that will seep through it.